Profile Response: Rick Zukowski, Casino Dealer, Reno, NV | How Will We Live Tomorrow? Rick Zukowski spent his Saturday afternoon break with me. 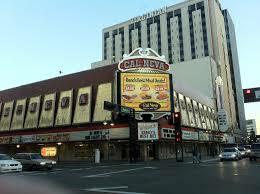 Rick’s a blackjack dealer at the Cal-Neva Casino in downtown Reno. 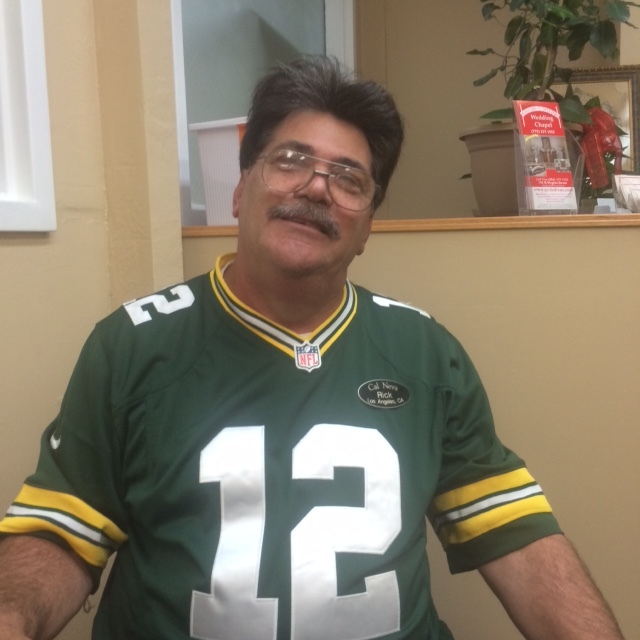 He was wearing a #12 Packers shirt; sports gambling is huge here and one of the ways Nevada differentiates itself from the Indian gaming establishments popping up all over the country. Dealers wear team clothing to perk interest. “Dealers make minimum wage plus tips. I started out at Circus Circus. A lot of people do. I would make about $30 in a shift. A friend suggested I move to Silver Club in Sparks. I had to audition for that job, but the first night I made $120 in tips. When Silver Club closed I moved to Cal-Neva. We’re a downtown casino with a lot of regulars. We have lower limits than other places, $3 tables.” Rick doesn’t make as much at Cal-Neva as he did at Silver Club, but since 2000, when Indian gaming began in California, Reno’s gambling revenues are off by one third. A less lucrative dealing gig is better than none. This entry was posted in Responses and tagged Cal-Neva Casino, casino dealer, dealer, Reno NV. Bookmark the permalink.